The Site Selectors Guild (SSG), the world’s largest group of senior location advisors, predicts data centers will be a major global growth area in the next three years and Foreign Direct Investment (FDI) projects in the US will also increase over that time. Site selection consultants and the major expansion and development projects they manage can serve as a barometer for the overall economy. These insights are from the second annual State of Site Selection trend survey and were shared at the SSG annual conference, held February 24-26 at the Omni Hotel in Nashville, TN. In attendance were more than 400 site selection and economic development professionals. Highlights from the State of Site Selection 2016 trend survey were presented via an in-depth, moderated panel discussion. The survey pointed to several overall economic and specific industry predictions, and also stayed consistent with last year’s survey results. “Site selection consultants and the major expansion and development projects they manage can serve as a barometer for the overall economy. Findings from our annual member survey are relevant to location advisors, economic development professionals and corporate leaders responsible for their company’s location investment decisions,” said Phil Schneider, president of Schneider Consulting and the Chairman of the Board of the Guild. For a full copy of the 2016 Site Selectors Guild State of Site Selection trend survey, visit http://www.siteselectorsguild.com. The SSG annual conference featured a keynote presentation on the importance of infrastructure investments from Brian Pallasch, Managing Director, Government Relations & Infrastructure Initiatives at the American Society of Civil Engineers. Attendees also heard from guest presenters from Hanes Brands, Zimmer Biomet and Pepsico, each of whom shared the strategies and processes guiding their most recent site searches. Other presentation and discussion topics included supply-chain factors in site selection, the tools consultants use in conducting due-diligence, incentives, workforce/talent, sites and facilities, organizing and deploying tech and innovation centers, and changes in supply chains and their impact on site selection. Award candidates are Economic Development Organizations (EDOs) nominated by Guild members and are selected based on mastery of process; ingenuity and creativity; going above and beyond; political acumen; staying power; and personal and caring touch. SSG announced Tucson, AZ as the event location for the 2017 Site Selectors Guild annual conference. Hosted by the Arizona Commerce Authority, the 2017 event will take place March 13 – 15, 2017. Registration for the event will open this fall. Also announced was the SSG Fall Forum, which takes place in Little Rock, AR from October 24-26, 2016. 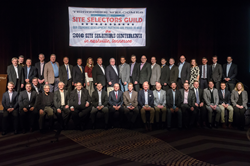 The Site Selectors Guild is a professional association comprised of the world's leading site selection consultants. The mission of The Site Selectors Guild is to advance the profession of international corporate site selection by promoting the profession and providing education, networking and other services to those involved in the industry. 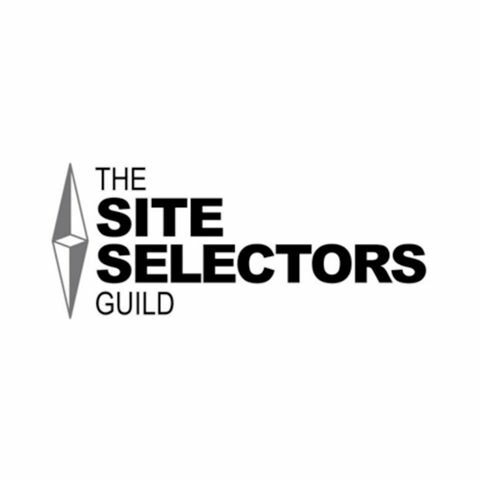 All members of The Site Selectors Guild have been nominated and approved by their industry peers. As the first and only group of its kind, the Site Selectors Guild brings together a dynamic network of site selectors from around the world, combining their talent and expertise to create an invaluable resource, unmatched in its quality, for both corporations seeking site selection assistance and economic development organizations. For more information, visit http://www.siteselectorsguild.com or follow @siteselectguild on Twitter. A copy of the 2016 State of Site Selection trend survey is available upon request.